Do your kids experience recurring ear infections? They may recover for a few weeks, get a cold and then… boom! They have another one, and once again, you take them to the doctor and give them antibiotics, which weakens their immune system and makes them even more susceptible. If this sounds familiar, then this post is for you. You can break this cycle and heal ear infections naturally! 1. Put ear oil or breast milk in your child’s ears. Ear oil is usually made of mullein and/or garlic infused into olive oil. It may contain some other ingredients as well. I have used this for my children with great success. It is readily available at health food stores; my recommended brand is Wally’s Ear Oil . And, yes you heard right, I said breast milk. Most mommas know by now the wonderful nutritional benefits of breastfeeding, but did you know that it is also a tool you can use topically? 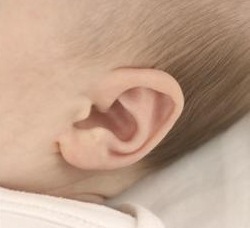 Breast milk has built in antibodies, so it can help relieve and heal ear infections. (It is also great for nasal congestion, so if you are a nursing momma, you have built in “medicine”). These can be used even if your child is already on antibiotics. Not only are you treating the infection with this method, but you are also treating the inflammation and soothing the pain. I remember distinctly one trip I made to the doctor after a sleepless night for my daughter and myself because of her ears being infected. I was told, “the ears are not a very vascular area, so by the time the antibiotics start to work, using ear oil or breast milk can be more effective.” I have not used antibiotics for ear infections since. Because it can take weeks for all the fluid and inflammation to be gone from your child’s ear, be sure to continue drops of ear oil or breast milk for at least the week following your child’s ear infection, and if your child is extremely prone to ear infections, start them as soon as there is a sign of nasal congestion. 2. Give your child Vitamin C. Vitamin C is anti-inflammatory, so it is great for sore, inflamed ears. It will help your child’s body fight off the infection, and it will help soothe the inflammation. It is water soluble, so it does not store in the body, but too much of it can cause upset tummies, so I would recommend giving small doses frequently throughout the day. 3. Give your child probiotics. In my blog post How Antibiotics Affect Your Immune System and What to Do About It I discussed the importance of probiotics to your immunity. This is especially true if you have recently been on antibiotics, which is often the case when there are recurring ear infections. It is essential to give a high quality probiotic, and I would dose my child heavily after a course of antibiotics or a recurring bout with ear infections. It will help your child’s body heal and will help prevent future illnesses by boosting his/her immune system. 4. Give your child Vitamin D supplements or get them in the sun without sunscreen. I talk about Vitamin D in my blog post 5 Supplements To Help You Avoid Getting Sick During the Cold and Flu Season. The truth is, Vitamin D is one supplement that I will never be without. I keep it in my Vitamin cabinet and use it extensively for myself and my children. More and more studies have been done in recent years that show the importance of Vitamin D to our body’s well-being. It is essential to good immune function, and with the low amounts we get in food and the wide use of sunscreen, most people are not getting enough, particularly in the winter months. 5. Use breast milk, saline spray or xylitol nasal spray to clear your child’s sinuses. If your child is the least bit stuffy, this can help shrink the sinus passages, clear mucous and fight infection. I’ve talked about the importance of breast milk above, and most people have heard of saline spray, but you may be wondering what on earth xylitol nasal spray is. Xylitol is a naturally occurring sugar alcohol that is found in berries, birch, corn, plums and mushrooms. It is used as a low calorie, low glycemic sweetener, but it was also discovered that xylitol does not allow bacteria to adhere to surfaces; hence its use in nasal sprays (and tooth paste). It can help to clear the bacteria in the sinus cavities that contribute to ear infections. Generally, I do take my children to the doctor if they are running a high fever or if their infection doesn’t seem to be clearing after a few days. Use wise judgment in this regard. If your child is seriously ill, they need to be seen by a physician. I always ask my doctor if I can hold off on giving antibiotics or if my child absolutely needs them to get well. Most often, I can wait and let my child’s immune system fight the ear infection and become stronger. I think it is obvious that I seldom medicate, but if my child is very uncomfortable, I will give them ibuprofen to shrink the inflammation in the ear and allow them to rest more comfortably. Sleep is an important part of the healing process, so if they are in a lot of pain and not able to sleep, it is counter-productive to their body healing itself. It is also helpful to have your child sleep on an incline and avoid blowing their nose when they have an ear infection. This can help him be more comfortable while his body is recuperating. And be patient! It may seem like it takes longer for your child to bounce back if you typically give him antibiotics, but if you continue to let his body heal his ear infection naturally through proper nutrition and supplementation, you will begin to notice fewer illnesses and quicker recoveries. very nice article – do you happen to have any help for adults? My husband is allways getting ear infections. Essential oils, doTERRA to be precise, are my #1 tool in fighting ear infections. Basil and Melaleuca oils will kill an ear infection quickly, usually I can have my daughters feeling better in a day when I use them. Any time I feel an ear infection coming on- I live in Hawaii and am in the water a lot, and am prone to ear infections, I use the oils and the pain is gone that same day. I am happy to talk oils and help people empower themselves and stay away from antibiotics that we don’t need to be putting in our or our little ones bodies! iv had small med and large grommits when i was younger and as from what i can remember didnt help me. shuld i go and get them put back in? ps iv done the oil treatment about 6 yrs ago and stopped and since i didnt get many BUT when i got an infection it was much wors then when i got them often. so no winning for my ears 🙁 iv had bad thorts of doin bad things when having ear infetions and wish i can stop them for good 🙁 ppl think im faking or being slective hearing 🙁 its not a nice feeling. Hi Michael, wow, you certainly have dealt with this issue extensively! As to whether or not you should do the surgery your doctor is recommending, that is not something anyone should comment on without doing a thorough health history and exam on you. If you have concerns, though, I would seek out someone who specializes in this area (in the U.S., an ENT or ear, nose and throat specialist). Have you considered the idea that you may have some allergies (food or otherwise) that are causing your infections? I am not sure how your overall health is, but focusing on improving it should greatly help. I don’t know where you are from, but if you can find a natural health practitioner in your area to help you sort through diet and food and environmental sensitivities, you may notice quite a difference. One other thought… how about trying a chiropractor? I don’t have personal experience, but know many people who swear by them for helping ear infections. When I was living in Australia, an aborigine told me to put breast milk in my newborns goopy eye & sure enough, it cleared it right up! Thanks for your comment. You are exactly right on! I used breast milk in my 4 kids eyes, ears, nose, on scratches on their skin; you name it! It has marvelous healing properties; it can’t be improved upon for keeping baby healthy and building his/her immune system. Will it work if you eat garlic than putting garlic oil in your ear? Hi Rose, taking garlic is a great idea if you have any kind of infection, including an ear infection. In fact, I cannot underscore the importance of treating an ear infection internally as well as topically. The benefit of using ear drops is that they soothe the pain and treat the infection topically, and I do believe they will help you clear your ear infection more quickly and effectively. This is assuming, of course that you don’t have a medical condition that would prevent you from putting drops in your ears. Hi Kelsey, Thanks for your input. Our children’s pediatrician is very adamant against nose-blowing because he feels it contributes to congestion in the ears. I appreciate you telling why this may not be the best and stating the reason you think otherwise. Your perspective as a medical student is welcomed. Thank you again for commenting. One thing I didn’t see mentioned is avoiding cow dairy products. Typically, that is the number one contributor to ear infections. Hi DeeDee, Indeed it can. Food allergies can be a major contributor to chronic ear infections. Thank you very much for adding that. In addition to dairy, gluten can be a factor as well. I appreciate the comment. Also…take them to the chiropractor! It helps so much! Hi Laura, Thanks for commenting. I had someone else suggest this too. Haven’t tried it myself, but have heard how helpful it can be from other’s experiences. Accupuncture and accupressure can be helpful as well, I understand. Just wanted to agree with the chiropractor comment. My oldest had chronic ear infections and was about to get tubes in her ears when I was told about this option. I started going to the chiropractor on a regular basis and she has not had an ear infection since. I also have used olive oil with my other children and suggested to many other mothers. It drives me crazy that most pediatricians prescribe antibiotics so quickly for something that is almost always virus and not bacterial. Hi Hannah, Thanks for your input. I haven’t tried this personally, but know others who have and it can be quite effective. I appreciate your comment. Can Wally’s Ear Oil be used for a 9 month old? Do you have any experience with Willow/Garlic Ear Oil from Herbs for Kids? I wonder which ear oil would be more effective. Hi Jules, thank you for your questions. I have used Wally’s Ear Oil on my babies when they were little like that. It is somewhat soothing to the ear. You can also use breast milk if you are nursing and concerned about it. I have never used the Willow/Garlic Ear Oil, but know people who have. I can’t tell you which works better, unfortunately. I think it may be a matter of trying them and seeing which you think works better for your child. If my children were nursing and were sick, I would also take extra garlic and Vitamin C myself so they would get it through my breast milk. Good luck! I hope your wee one is feeling better soon. Do you know if it is still safe to use ear oil if your child has tubes in his ears? My son has had tubes for two years now and still has occasional ear infections. I’d love to find a way other than antibiotics to treat them. Hi Jill, I am so sorry, but I don’t know whether or not it is safe. That is a question best asked of your pediatrician. I wish I could help you. I do know that the nutritional supplements would be helpful. Hi Bonnie…Thanks for the information. My sons are constantly getting ear infections, and I wanted to find another solution. I am on my way out the door to go go gather up the things i need to get my kids ears back on track. I just wanted to expres my gratitude. Thanks. I am so glad that I could be of help. It is very frustrating to have your children get the same thing over and over again. Be patient, and I am confident that you will notice a difference in your sons’ health. If you have any questions, please feel free to ask me. I just wanted to say thanks for the information – I just spent another evening in a medcheck with my son who keeps getting ear infections. By the way, I found your site through Shelly’s site. Anne, I am so glad you made your way to my site! I appreciate your comment! It is so frustrating to feel like you always are taking your child to the doctor for the same thing over and over again. I hope your little one gets better quickly. Remember that when you are healing the body and making it stronger (rather than just treating symptoms) it can take a bit longer at first, so be patient! Have You Liked MommaHealth Yet?